Food businesses are being reminded that the enforcement date for Country of Origin labelling laws is fast approaching, with concern nearly half of all business are not ready. John Kapiniaris, General Manager of Task by Kirk, an Australian company that helps produce food labels, has told Australian Food News that he estimates half all businesses have not made the changes they need to. “After discussing the issue with many marketplace brands and the major print converters in Australia who are printing much of the packaging, I would estimate that half of all businesses are yet to make the necessary changes,” Kapiniaris said. From 1 July 2018, food companies selling their products in Australia must be compliant with the new labelling laws. The laws require a disclosure of how much of a product is made with Australian ingredients and where the product was made. Mr Kapiniaris said it is small-to-medium-sized businesses that are falling behind as they do not have the resources or proper understanding of the laws. “Any recall or disposal of non-compliant goods may run from the thousands to the millions of dollars, so it’s important to get it right,” Kapiniaris said. 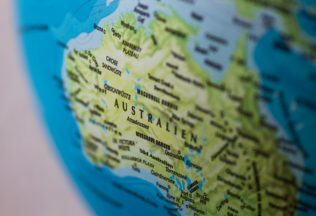 Businesses which fail to comply with the new Country of Origin labelling laws can face penalties of up to AUD $1.1 million and individuals can be fined up to AUD $220, 000.